"Puh-leeze, Mummy, nobody wants to hear about coke, Acapulco, or Fleetwood Mac. " Very few people realize it, but author Tom Wolfe, beside penning the idioms "aw-shucks", "radical chic", "fuhgedaboudit" and "me generation", was also an accomplished cartoonist, as can be seen in this drawing, first published in Harper's magazine. 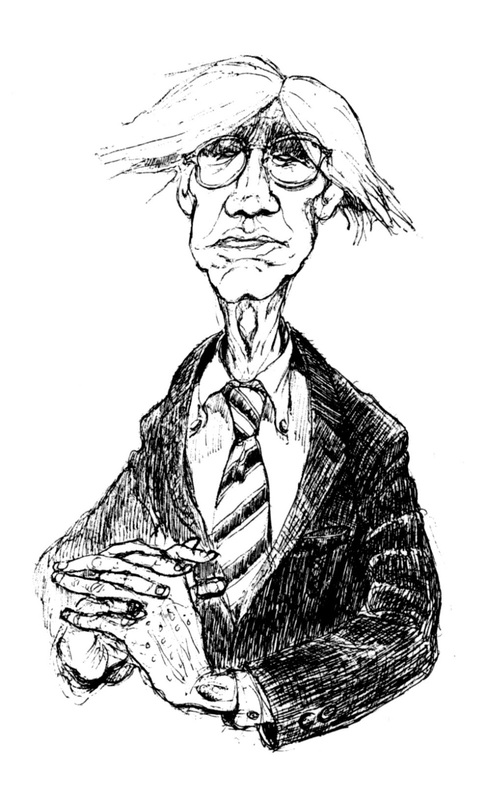 The drawing can be found in the book "In Our Times", published by Farrar, Strauss & Giroux in 1980. Tom Wolfe, who died on May 14, had a lesser-known but not-so-secret passion: He loved to draw caricatures and cartoons with the same incisive, sarcastic wit that came through in his written social commentary. His pictures were inspired by the turn-of-the-century German Jugendstil (“youth style,” or Art Nouveau), graphic artist provocateurs who regularly outraged both bourgeois and aristocratic Junker classes by poking holes in their masks and debunking their pretensions in the notorious weekly satirical journal Simplicissimus (also known as Der Simpl in the 1940s). 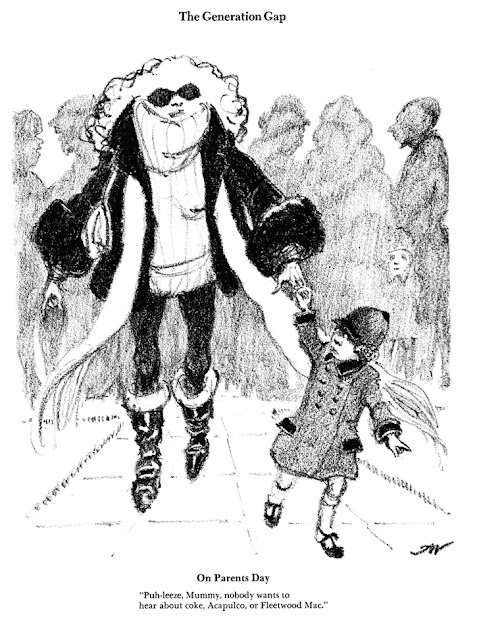 He also owed a debt to his favorite visual trickster, Ronald Searle, whom Wolfe praised as a “giant of the graphic netherworld” on the front page of a 1981 Times Book Review. Wolfe surprisingly identified as much as a cartoonist as he did a writer, and many of his drawings were captioned. In 1979, the same year that “The Right Stuff” was published, he wrote the introduction to an exhibition catalog I edited on Simplicissimus. He was referring to his own inclination for the comic art form, which he started practicing in 1956 at The Springfield Union (the predecessor of The Republican) in Massachusetts. 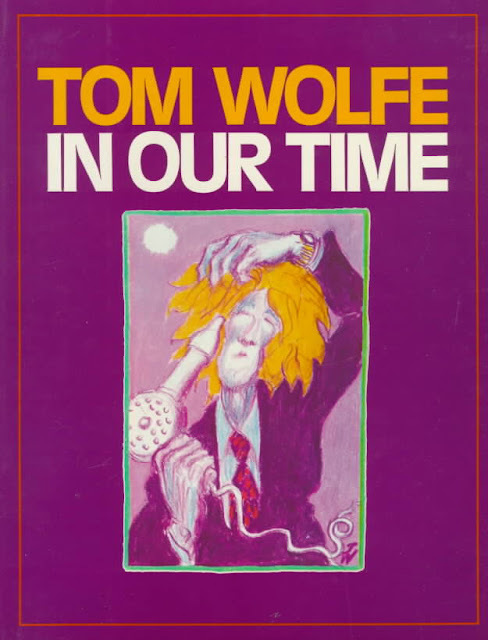 In 1980, Wolfe emerged from his self-imposed netherworld with “In Our Time,” his book of mocking sketches and stinging essays about the 1970s’ absurd fashions, trendy morals and silly conceits. The drawings from that book pay overt homage to the style of the period, but even more to the audacity of its artists to subversively — often savagely — lampoon their targets while still leaving them laughing and wanting more.